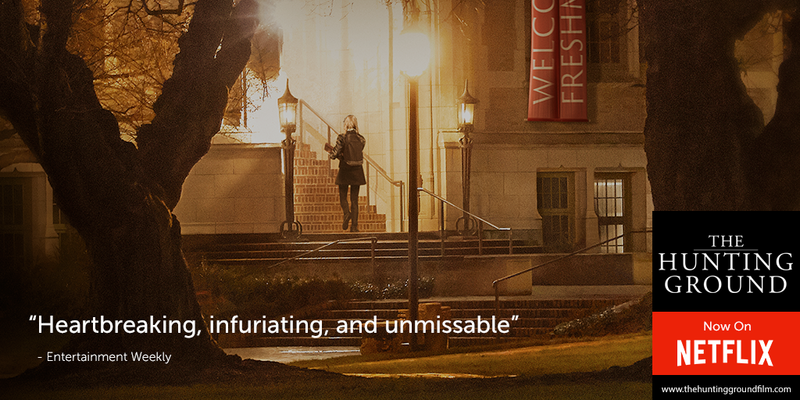 The Hunting Ground is now available on Netflix. Our mission since we finished the film has been to sound the alarm on campus sexual assault as loudly as our voices will carry. We’ve had more than 1,000 campus screenings and a CNN broadcast to that end. And now a truly massive audience has a chance to see the film and spread the movement. Help us continue to grow this movement. Share The Hunting Ground with someone you know. The more people who know about this ongoing crisis, the sooner we can end it.